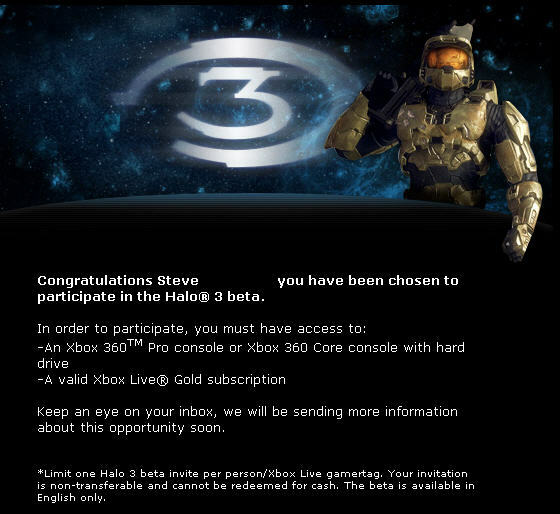 I never thought I would get selected, but as you can see below I get to participate in the Halo 3 Beta Test. I am looking forward to testing the game. My son is also very excited.